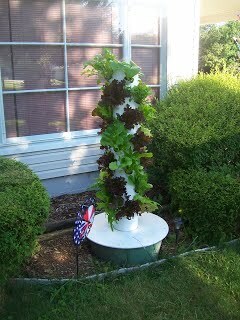 or growing your own Tower Garden! Providing us with extremely local, chemical free and just picked greens (of many sorts), tomatoes, zucchini, cucumbers, herbs & flowers all spring, summer and fall, and…. … through the winter, too! 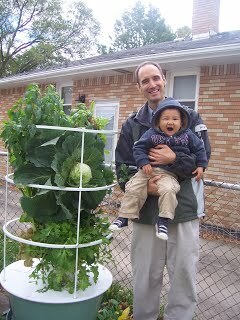 FUN – We have had a ton of fun and are so grateful for our Tower Gardens. EASY – I can’t say it’s “workless”, but it is certainly “work less”. 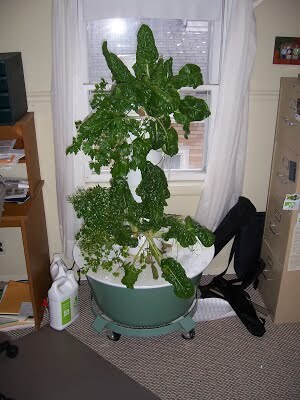 I add water around once every 2-4 weeks depending on what we are growing and the temperature. I don’t need to prepare the ground. There are no weeds. There is no daily care needed. I don’t do any trimming. Our biggest thing we do it just pick and eat. SIMPLE SUCCESS – I was not a gardener. 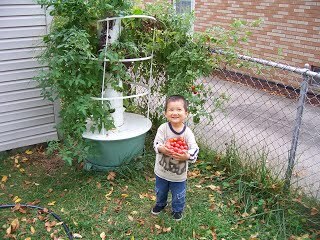 Yet, our first garden (see above) turned out very well, as have all others since. 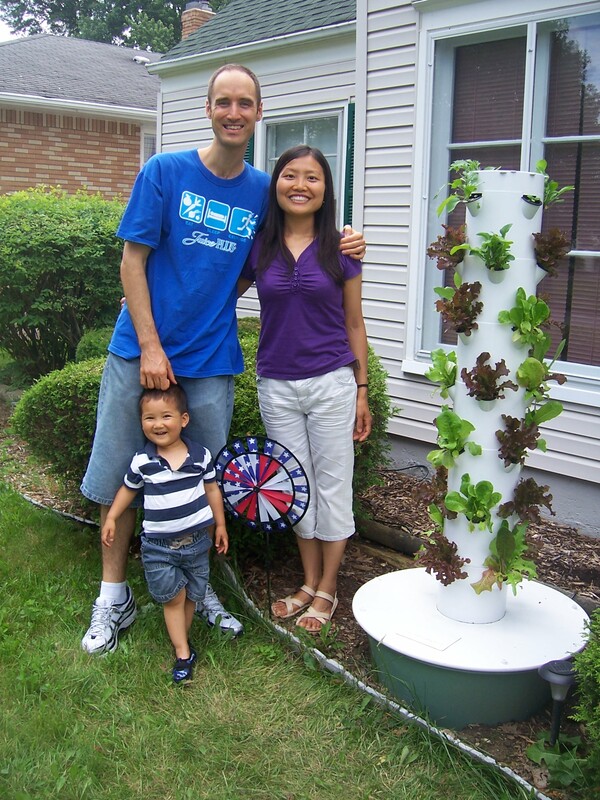 DEVELOP AN INTEREST IN GARDENING – We have grown an enjoyment in gardening that led to buying a second Tower, and also planting in the ground (though in the ground is not nearly as easy or productive :). EDUCATIONAL – We have all learned so much about how plants grow. TASTE – We now better understand when people say that garden fresh produce tastes better. So much better! 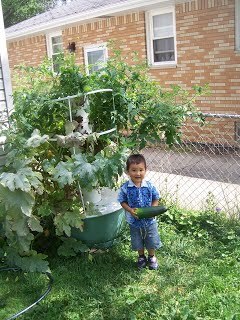 REALLY CAN’T KILL IT – Our garden has flourished on a year when everyone else’s was dying. WINTER GROWING – We even moved it inside for the coldest winter (2013-2014) and it did well just next to a medium sized window with no grow lights. (See pictures above). Outside with full sunshine grow most things faster, but inside did very well. SAVE MONEY – We eat a lot of greens and we didn’t need to buy greens or tomatoes for over half of the year! We bought it for around $10 a week for the first year, and have been eating almost for free ever since and looking to years to come. Over all, this has been an amazingly fun, healthy, habit developing experience! This entry was posted in Cooking Ingredients, Favorite Products, Favorite Things, Health, Healthy Living Party. Bookmark the permalink.